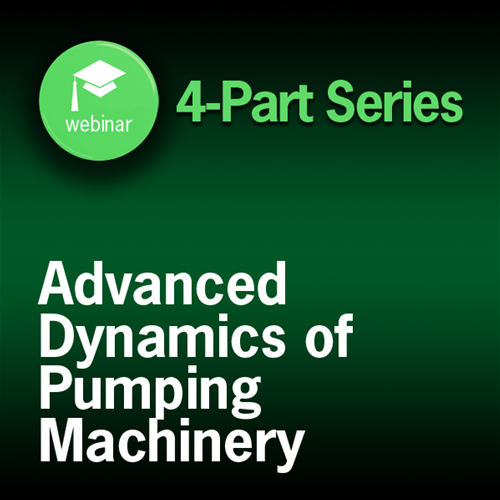 Dynamics of Pumping Machinery 4-Part Webinar Series. This course reviews the ANSI/HI 9.6.8 guideline, Rotodynamic Pumps: Guideline for Dynamics of Pumping Machinery. The course explains how the need for dynamic analysis for pumping machinery is determined and which types should be performed on various types of pumps. Attendees will also learn how to specify the right level of dynamic analysis to ensure the suitability of pumping machinery design. The three levels of analysis are explained in detail, and work examples are used to demonstrate the principles and methods used for each level of analysis. Jack Claxton, Vice President of Engineering – Patterson Pump Company; Mick Cropper, Director of Technology – Sulzer Pumps; Bill Marscher, P.E., President and Technical Director – Mechanical Solutions, Inc.; Eric J. Olson, Vice President – Mechanical Solutions, Inc.; Paul Boyadjis, Director of Structural Analysis – Mechanical Solutions, Inc.